Will Justice League be Ben Affleck's last time donning the Batman suit? 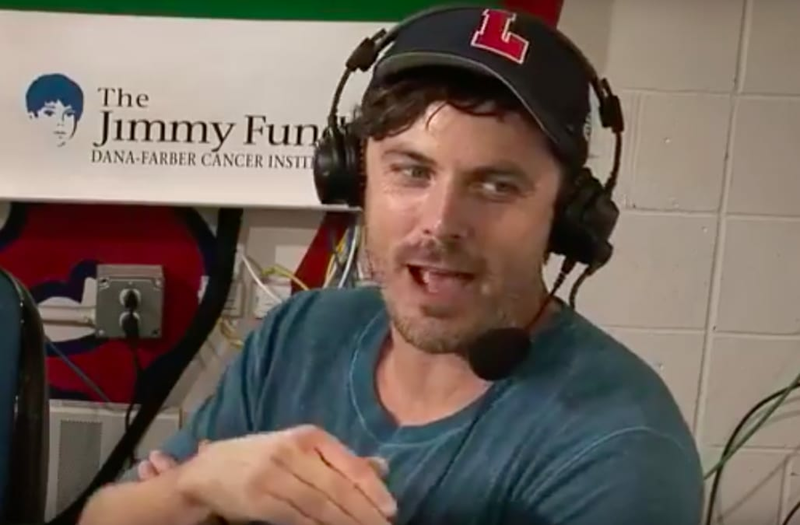 That may be the case, according to Affleck's little brother, Casey, who seemed to spill the beans during an interview with WEEI's Dale & Holley With Keefe radio show on Tuesday. "I thought he was an OK Batman," the younger Affleck joked of his brother's turn under the cape and cowl. "No, he was great. He was great. He's a hero, so he had something to channel and work with there. But he's not going to do that movie [planned standalone The Batman], I don't think. Sorry to say." When pressed further, he seemed to backtrack, saying, "Is that breaking news? Because I was just kind of making that up, I don't know." Rumors have been circulating about Affleck stepping away from his role as the DC Dark Knight in recent months, but the actor seemed to squash that talk at San Diego Comic-Con last month. "Let me be clear. I'm the luckiest guy. Batman is the coolest f**king part in any universe, DC, Marvel," Affleck told the crowd during the Justice League Hall H panel. "I am so thrilled to do it. I know there's this misconception that because I'm not directing it, that maybe I wasn't enthusiastic about it. It's f**king amazing! I still can't believe it after two films." "Kevin Tsujihara, Sue Kroll and Toby Emmerich said to me, 'We want you to be our Batman,'" he continued. "Matt Reeves doing it, I would be an ape on the ground for Matt Reeves, never mind be Batman. It's incredible! I'm really blown away and excited. It's a great time in the DC universe... and you can see why I am so excited to play Batman." Affleck announced in January that he would not be directingThe Batman standalone as originally planned, however he insisted at the time that he was "still in this." "I remain extremely committed to this project, and look forward to bringing this to life for fans around the world," he said in a statement. Regardless of the fate of the franchise's future, fans will next see Affleck suit up as the Caped Crusader in Justice League, which hits theaters Nov. 17.